Agility Trials: a competition where dogs negotiate obstacles and jumps. Alpha Dog: the leader of a dog pack. Backyard Breeder: a breeder who has little or no concern for a breed standard, temperament, socialization, health, or genetic defects. The backyard breeder’s primary motive is profit. Best of Breed: the dog judged to be the closest to meeting the breed standard for its breed in a dog show. Best in Show: the dog with the most points and wins earned in the dog show. Bloodline: a dog’s direct line of descent; pedigree. Breed Club: an organization of dog fanciers dedicated to the promotion and improvement of a specific breed of dog. Breeder: the person who breeds a dog. Breed Standard: a written description of the ideal representation of a breed. Campbell Test: a puppy personality test that is used to find the best match between a puppy and a new dog owner. Come: a command for your dog to stop everything and come to you. Conformation: evaluating a dog (form and structure, make and shape, etc.) in conformance with breed standards. Crate: cage or kennel that serves as a doggie bedroom or den. The crate is also used to transport or ship dogs. Crate Training: use of a crate to facilitate the housetraining of a dog. Date of Whelping: date of birth. DNA: a unique genetic makeup. DNA Test: a test to determine the identity or parentage of a dog. Dog Fancy: term describing the group of people interested in and active in the promotion of purebred dogs. Dog Show: a show in which dogs are judged on how closely they adhere to the breed’s standard. Dominance: level of hierarchy within the dog pack. Fancier: a person who has a strong interest in purebred dogs. Foundation Stock Service- the American Kennel Club’s registry for rare breed dog’s. Genotype: the specific genetic makeup of an organism. Genealogy: Direct line of descent. Family Tree. Pedigree. Handler: dog trainer or exhibitor. Heel: the position where a dog walks by your left side with its neck and shoulder even with your left leg. Identification: use of a microchip, DNA or tattoo to identify a dog. Luxating Patella: A genetically transmitted problem that causes the kneecap to slip when the joint is moved. Mat: a knot or tangle of hair. Microchip: a tiny chip or transponder, that a vet injects under the skin of a dog, near it’s shoulder, that provides a permanent means of identification..
Neuter: the removal of a male dog’s testicles. Pedigree: The written record of a dog's direct line of descent of three generations or more. The pedigree will list the names as well as championships won by dog’s ancestors. Pet Quality Pup- a puppy who in the best estimate of the breeder is not show quality, and should therefore not be bred. Phenotype: the observable physical characteristics or traits of an organism such as size, eye color, or behavior. Puppy: a dog under 12 months of age. Puppy Mills: a facility that breeds dogs for profits with little or no concern for a breed’s standard, temperament, socialization, health, or genetic defects. Purebred: a dog whose ancestors for several generations back were all of the same breed. Registered Name: the official name of a dog when it is registered. The name often includes the name of the breeder. Registration Application: paperwork provided to you by the breeder that you need to send in to properly register your puppy. Registries: organizations that keep official records in areas such as lineage, and health, etc. The CERF and OFA maintain databases and registries of dogs cleared of eye and/or hip dysplasia. Show Quality Pup: a puppy who in the best estimate of the breeder appears to be of show quality, in close conformity to the breed standard. Sit: the position where a dog has its front end up and hips down. Socialization: process of introducing pups to humans as well as the sights, sounds, and smells of the world. Spay: the removal of a female dogs ovaries and uterus to prevent breeding. Stay: a command for a dog to hold its position and not move. Temperament: a dog’s personality and character. 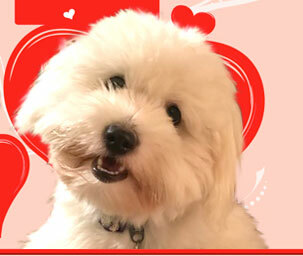 UCARE: a rescue organization for the Coton de Tulear. Vaccination: injections to protect a dog from disease.